Television in North Korea is subject to the Central Committee of Radio and Television of DPRK. Television in North Korea uses a PAL 576i analog signal transmission system and 4:3 screen resolution. The main signal transmission means it is terrestrial broadcasting, but Pyongyang has its own cable TV. Also, the three major television channels, Korean Central Television, Mansudae and Ryongnamsan, as of 2014, are available in a special app found in Samjiyon tablet computer. Television sets sold in North Korea are only able to operate on the PAL system, to prevent them from being able to pick up broadcasts from the south. Imported TV sets that are able to operate on both PAL and NTSC, such as those from Japan, have their NTSC abilities disabled by the Government on import. As of August 15, 2015, there are four television channels in North Korea. All are state-owned. Korean Central Television - This is the oldest television channel in North Korea, and it started regular broadcasting in 1963. As of 2015, it's the only North Korean TV channel having access to the Internet and satellite broadcasting; KCTV is also broadcast live on YouTube via their channel and page on Facebook. Satellite broadcasting is in HD-quality in 16:9 format. Mansudae Television broadcasts educational material with the occasional advert at weekends to Pyongyang, and opened on December 1, 1973. 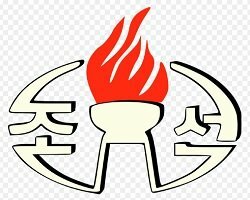 Ryongnamsan Television (formerly Kaesong Television from 1971 till 1997 and Korean Educational and Cultural Network from 1997 till 2012) is an educational channel. Sport Television is the sport TV channel established on August 15, 2015 and is also the newest station to be opened.